Hudelot-Noëllat is one of my favorite Burgundy domaines, as I love their highly refined, almost ethereal style of red Burgundy. The domaine was run for roughly thirty years by Alain Hudelot-Noëllat, who stepped down in 2008 and handed over the stewardship of the domaine to his grandson Charles van Canneyt. 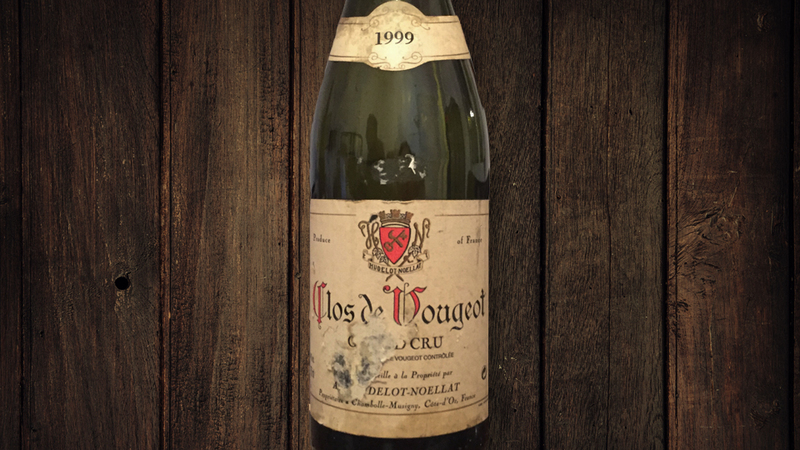 Hudelot-Noëllat's 1999 Clos de Vougeot was still made by Hudelot-Noëllat is politely styled, with nuances of raw meat and iron complementing still bright raspberry and black cherry aromas and flavors. The 1999 starts out a little tough and angular as some Clos Vougeots do, although Hudelot-Noëllat owns some extremely well situated parcels close to those of Méo-Camuzet as well as right up next to Musigny. A mineral tang emerges with aeration, and the wine improves considerably after about two hours in the glass, and although it never develops a large amount of fruit, it fills out, and loses its initial leanish personality. Clearly, compared to Hudelot-Noëllat’s Richebourg and Romanée-Saint Vivant the Clos de Vougeot is always lighter and less deep, but this beautifully fine-grained Burgundy has plenty to offer, and will continue to age gracefully for at least a handful of years. 90/Drink: 2019-2025.